With largely similar, progressive policies, Democratic candidates for 17th District state representative attempted to set themselves apart based on their backgrounds and experiences at a forum on Thursday. The event was hosted by Central Street Neighbors Association at Three Crowns Park in Evanston and was moderated by former mayoral candidate Jeff Smith (Weinberg ’77). In preparation for the March 20 Democratic primary, candidates Candance Chow, Mary Rita Luecke, Jen Gong-Gershowitz, Pete Dagher and Alexandra Eidenberg spoke about their experiences and platforms to Evanston voters. The district includes parts of Evanston, Northbrook, Wilmette, Glenview, Morton Grove and Skokie. The forum covered the role of government in society, state budget and spending, the legalization of marijuana, gerrymandering and campaign finance. Chow, an Evanston/Skokie District 65 school board member, told The Daily candidates were mostly aligned on those major policy issues. Each candidate highlighted the importance of his or her unique background in representing the 17th District. Dagher spoke about his experience with federal legislation and international relations, and Gong-Gershowitz said that her biracial identity embodies the diversity of the 17th District. 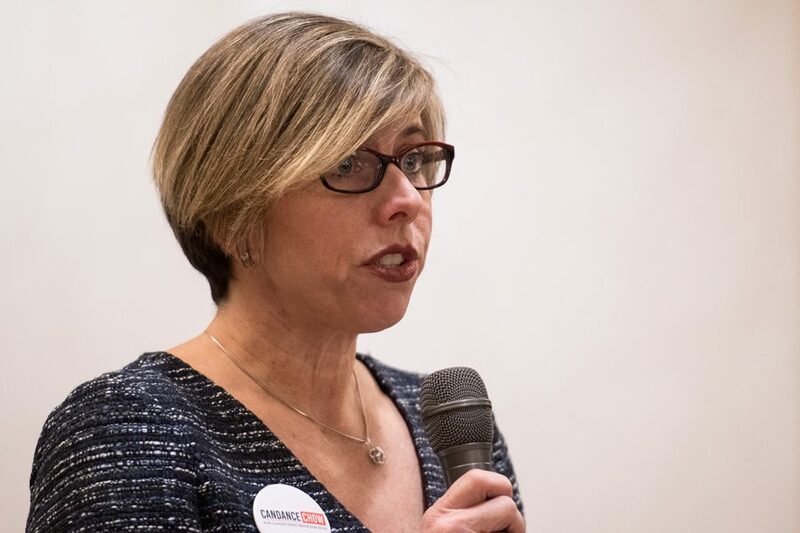 Chow stressed her experience in finance — noting its relevance to Illinois’ current fiscal challenges — while Luecke cited her deep roots in the community and Eidenberg her willingness to fight for her constituents. The candidates agreed Illinois is in need of budget and tax reform and a progressive income tax, but they disagreed on the root of the problem. Dagher said mismanagement of funds was the core issue, and also argued for the lowering of property taxes to incentivize residents to stay in the 17th District. Chow also agreed mismanagement was an issue, proposing reducing debt by reworking the management of pension funds. Luecke said she disagreed that mismanagement was the core issue, suggesting instead that the focus should be on increasing revenue. Both Luecke and Eidenberg spoke in favor of legalizing marijuana to create tax revenue, and Luecke also proposed a financial transaction tax — a small tax on all LaSalle street transactions — as an additional method of increasing revenue. Candidates agreed that if given a reasonable alternative, they would vote to replace Illinois House Speaker Michael Madigan, and were unanimous in their disapproval of in-state gerrymandering. All five also spoke in favor of implementing funding caps as a form of campaign finance reform. Dagher, who worked for White House administrations under former Presidents Barack Obama and Bill Clinton, said part of the solution to the excess of money in politics is for candidates to have more direct contact with voters.